Uniregistry rolled out version 3.0 of its domain market and management application today. 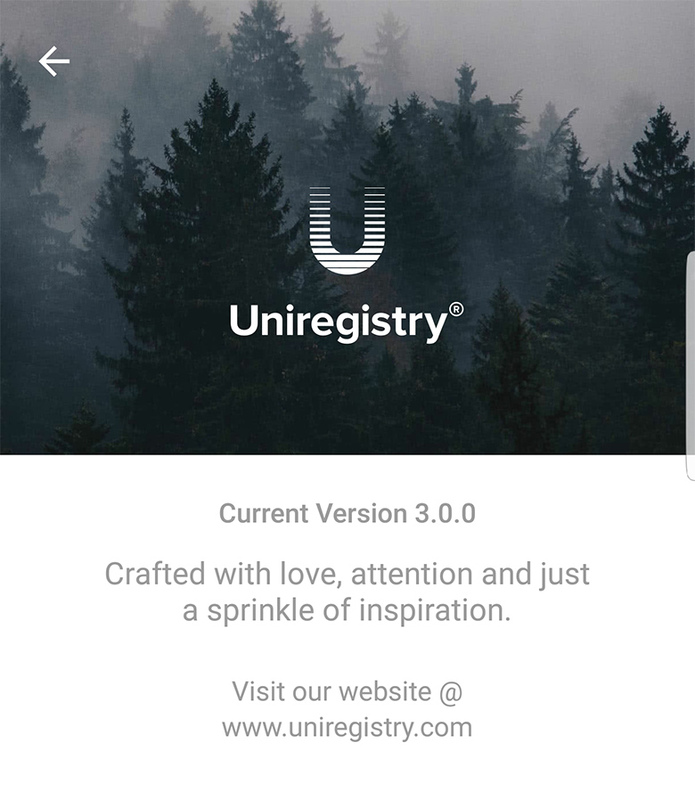 The new version of the Uniregistry Market app addresses user experience (UX) issues, and adds a navigation bar at the bottom. This way, domain management becomes easier, along with accessing the Uniregistry Market to respond to active inquiries. 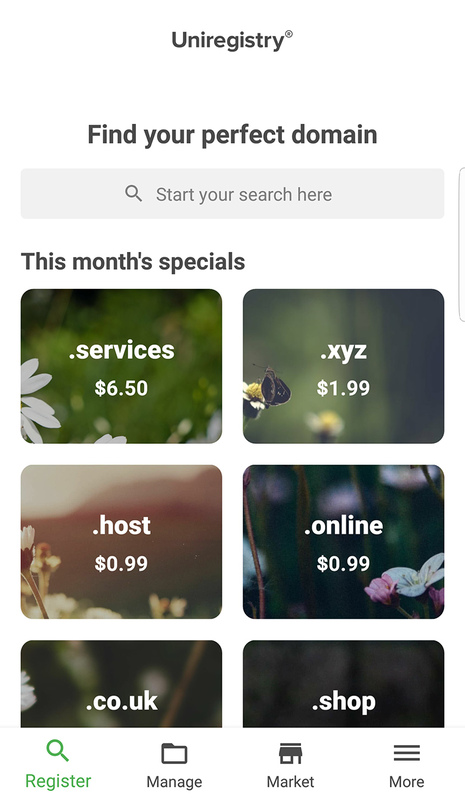 There are lots of improvements, along with a redesigned home lander that allows for the easy search and registration of domain names, with access to current gTLD specials. We’ve overhauled the entire UI, added a new bottom bar, a new home page, better onboarding, smarter filters, better notifications and a great looking account settings page. The tracker gets a new welcome page, a better layout, updated filters and you can now register domains from the tracker. Search history is saved (on your device), so you’ll never forget what you were searching for. An assortment of bug fixes and quality of life improvements. Note: Uniregistry is a premium sponsor of DomainGang.com. We share news and information about their products and services, that we also use. This is not a promotional post.